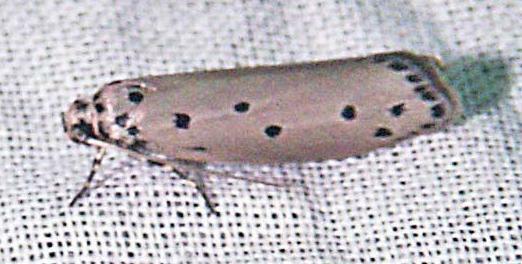 The adult moths of this species have grey wings, with a satin sheen to them, and a pattern of black dots on the fore wings. 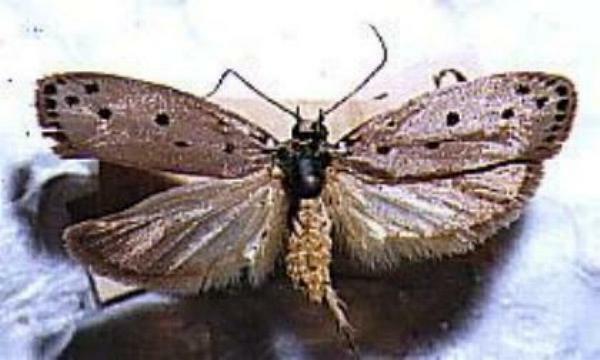 They have a wingspan of about 2 cms. Volume 20 (1981), Number 4, pp. 214-234. Volume 22 (1898), p. 213.